Ancient people saw patterns among the stars and called them constellations. Here one sees Leo, the Lion. 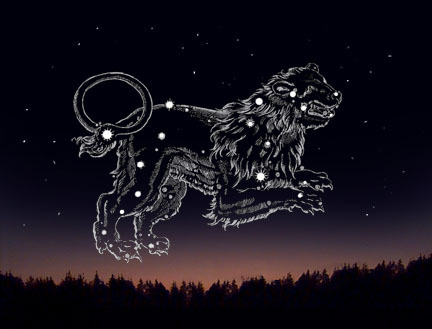 Some constellations are named after mythological beings. For an interesting discussion in this regard, see the book of Mythology of The Bible According to Einstein.